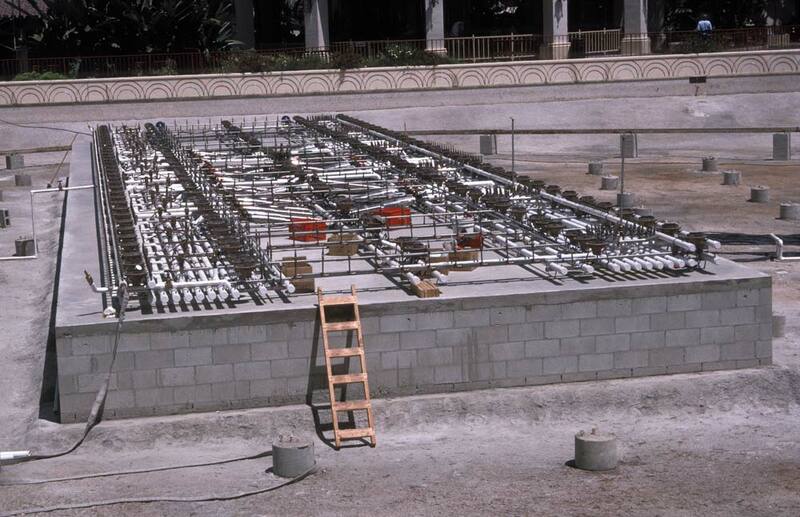 Installations in pools are most common – and also best from a maintenance standpoint. 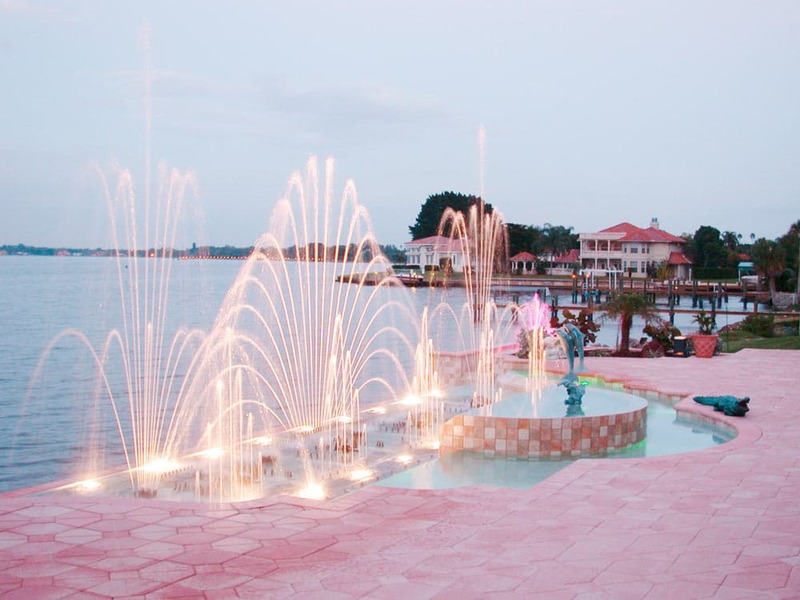 The water can be treated like a swimming pool, keeping both water and show mechanism in clean, pristine condition. 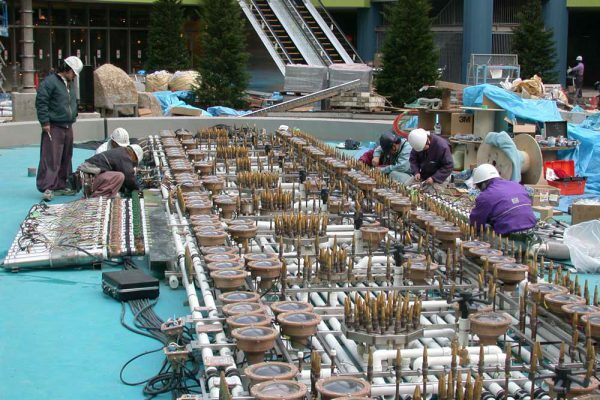 Liquid Fireworks shows installed in such conditions have been known to run for months at a time with virtually no maintenance required. Shows can be floated in large bodies of waters such as lakes. 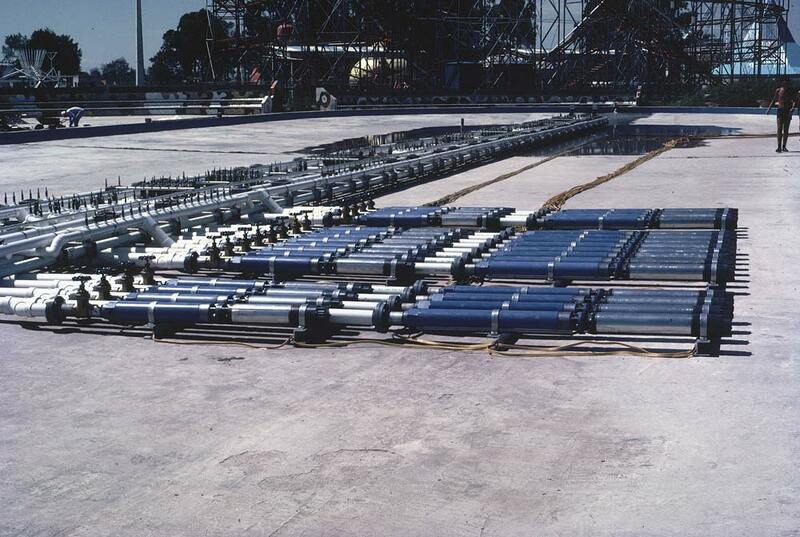 The show mechanism is contained within a floatation system composed of large diameter stainless steel tubing. 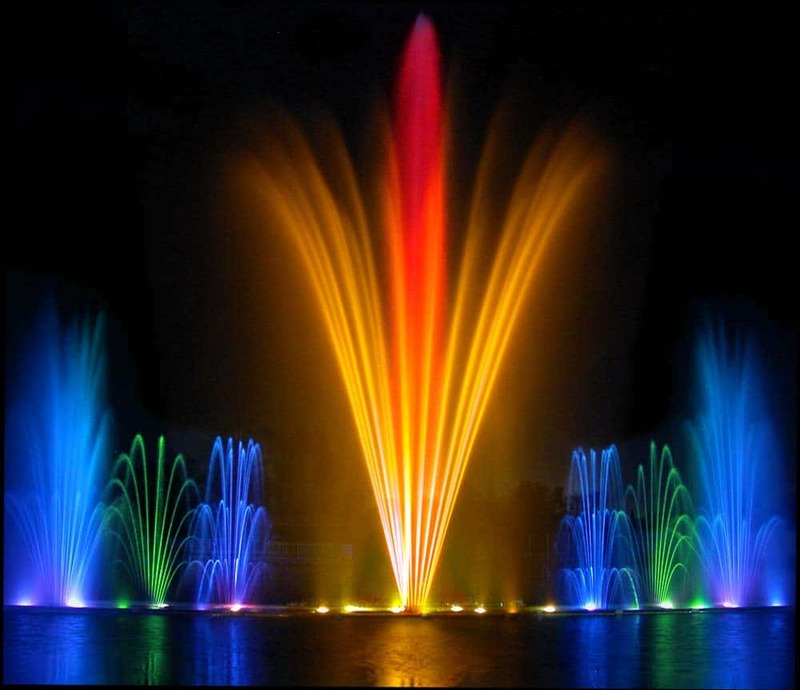 The advantage is the ability to rise and fall with the natural variations of water depth found in lakes and ponds. 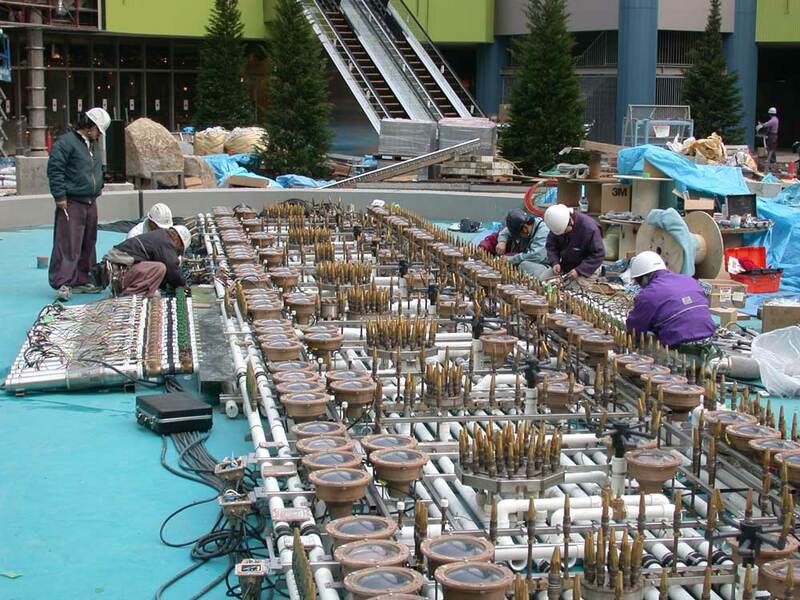 Disadvantages are increased cost of construction and maintenance. 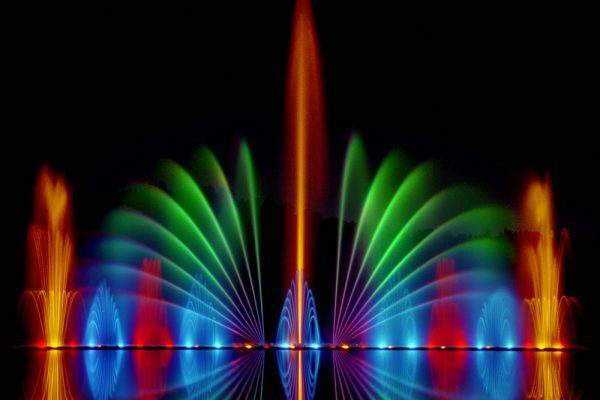 Since open water is not readily treatable, algae growth requires regular cleaning of the submersible lamps – typically once or twice a week. 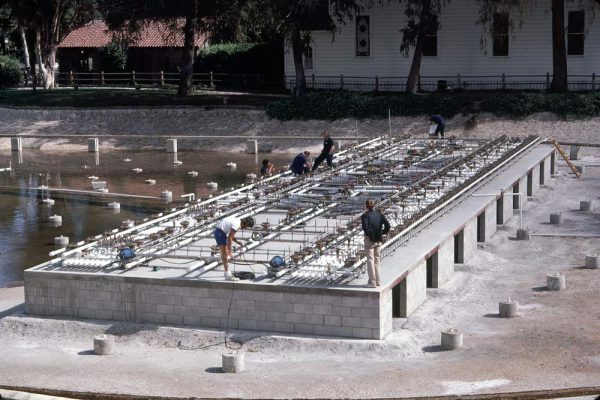 For large pool installations where water depth is not too great, this provides a superior alternative to a floating system. 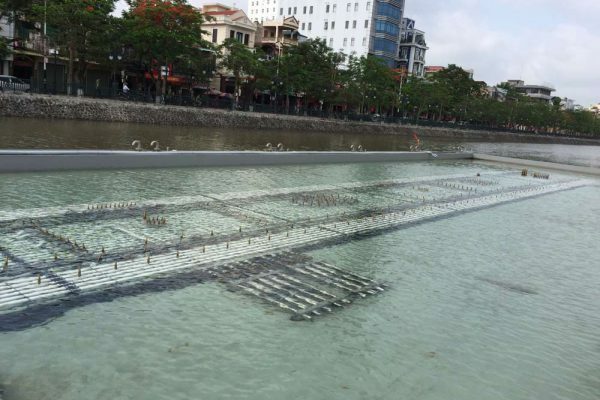 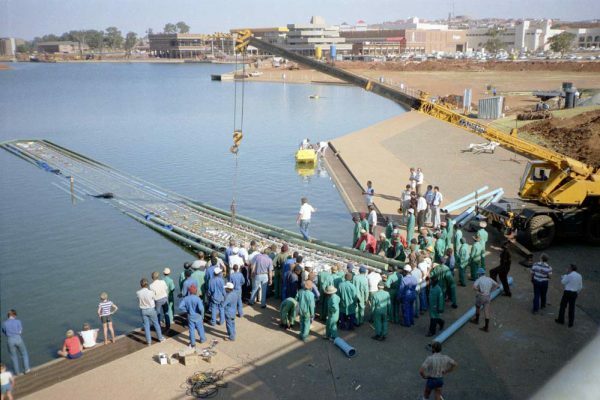 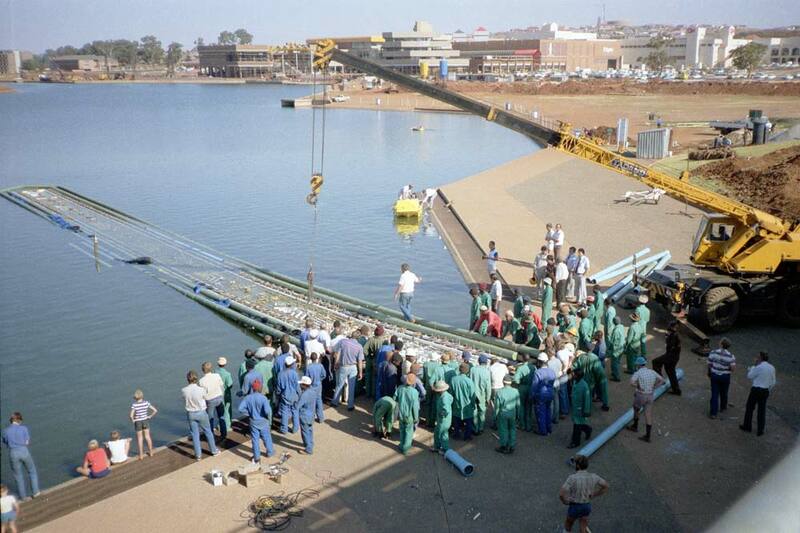 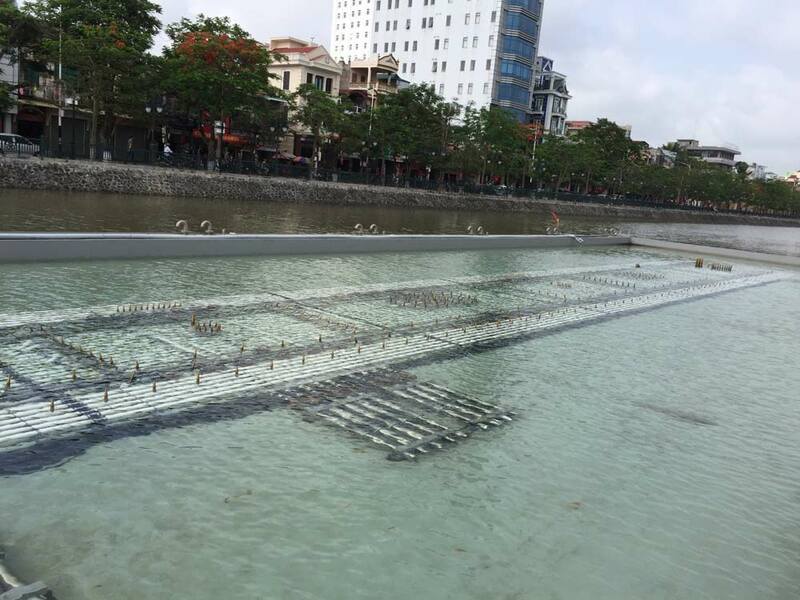 A platform, or artificial island can be constructed in the lake. Within the “island” is a dedicated pool housing the show. 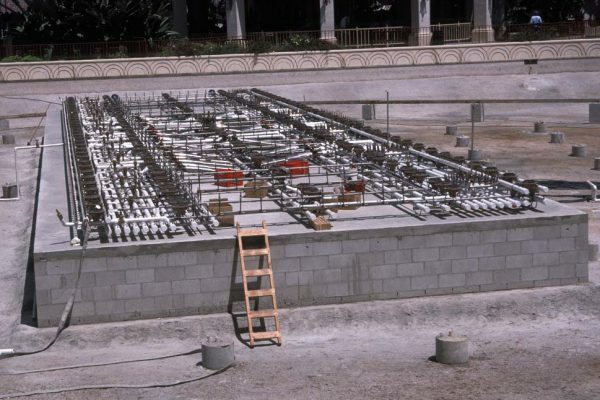 Once again, the advantage is the ability to treat the pool water, thus keeping periodic maintenance to a minimum. 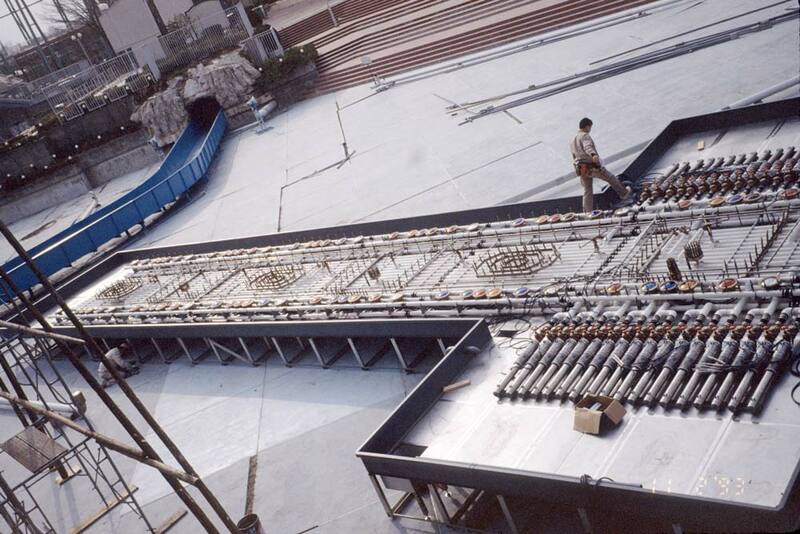 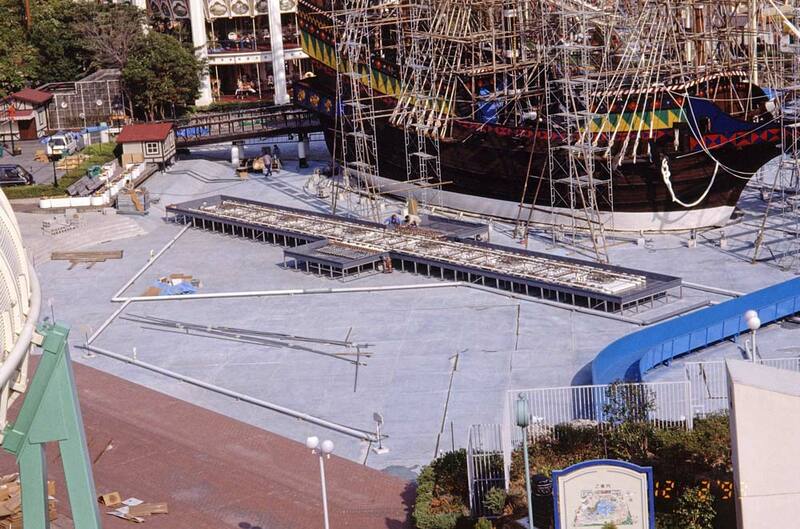 In deeper bodies of water, the entire show (including a pool) can be floated on a barge. 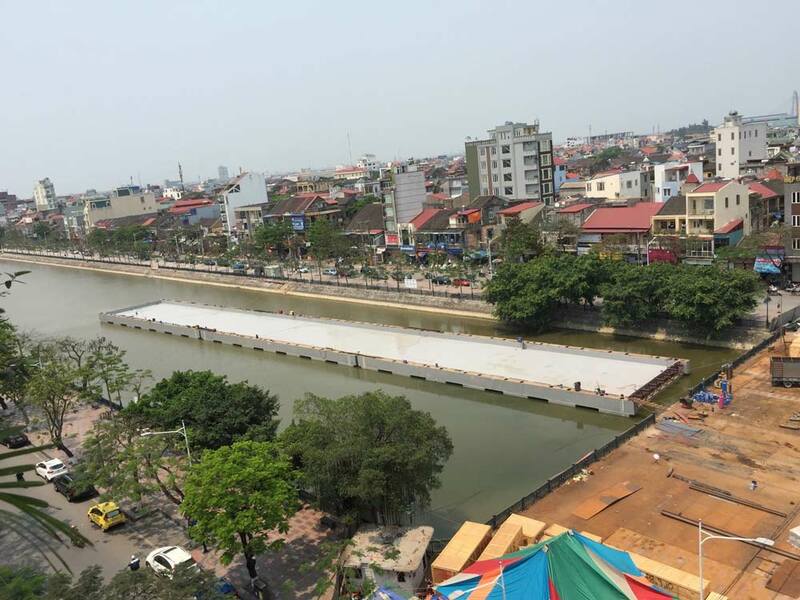 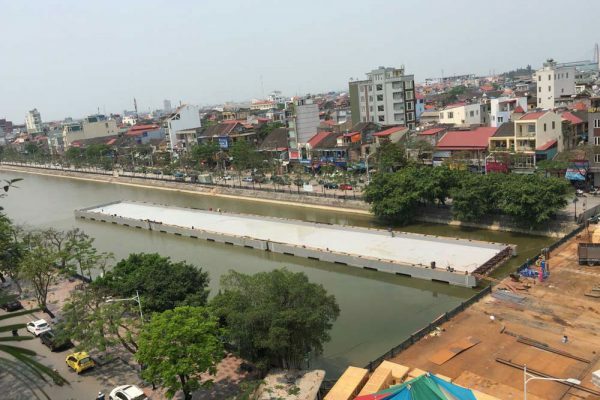 For esthetic enhancement, a barge can be built to look like an island. Again, since the pool water can be treated, maintenance is kept to a minimum. 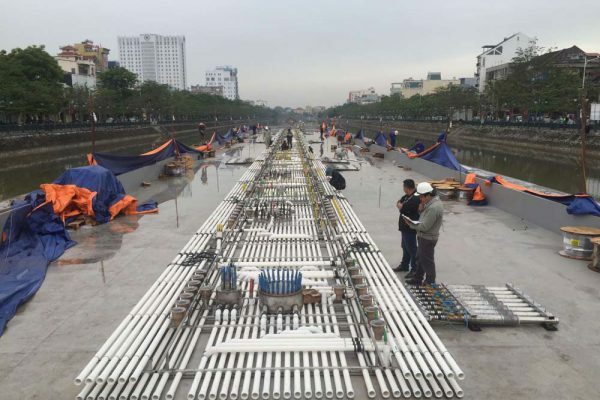 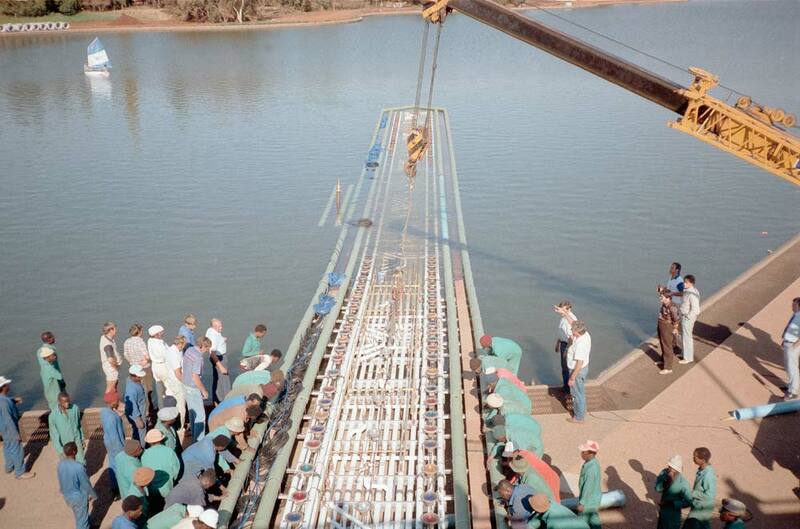 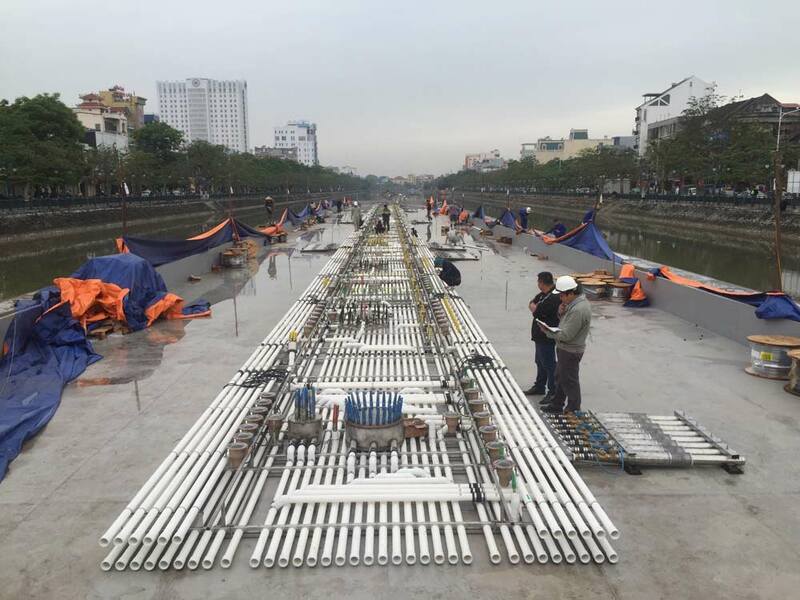 A barge also provides the ability to move, or reorient the show, if desired. 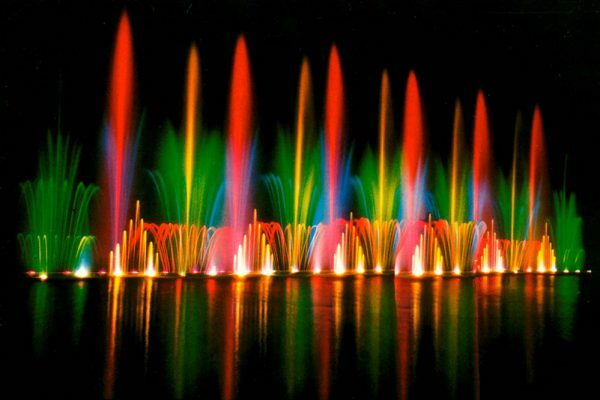 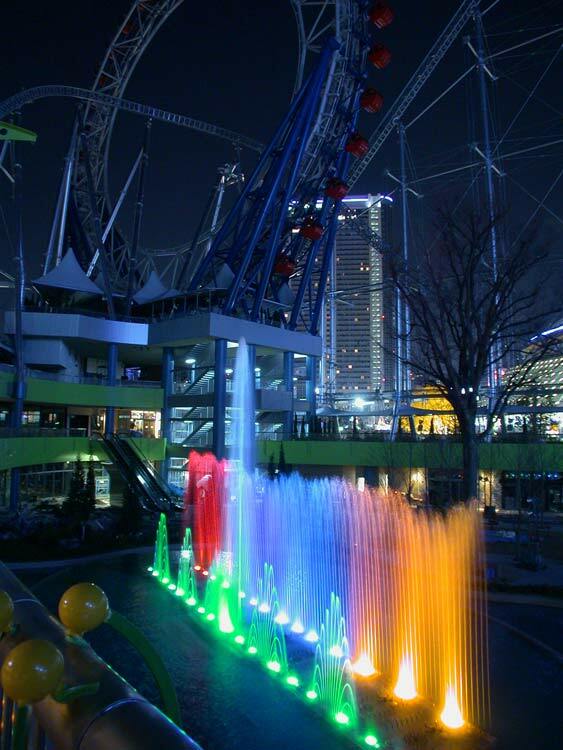 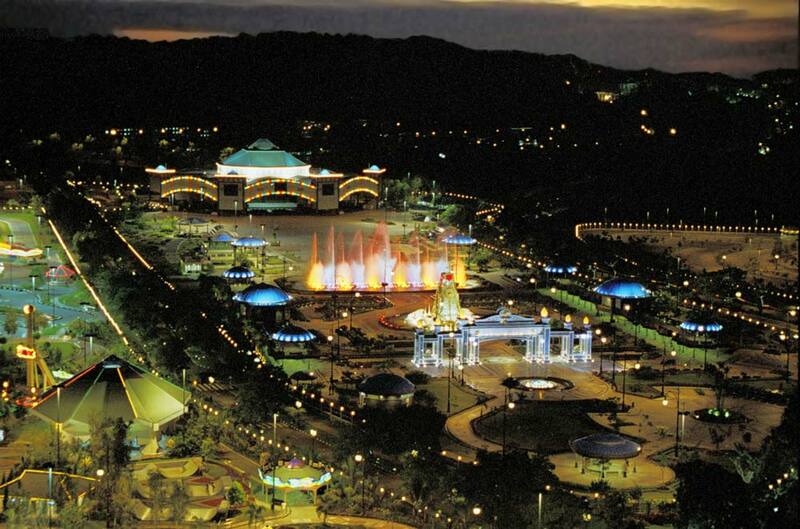 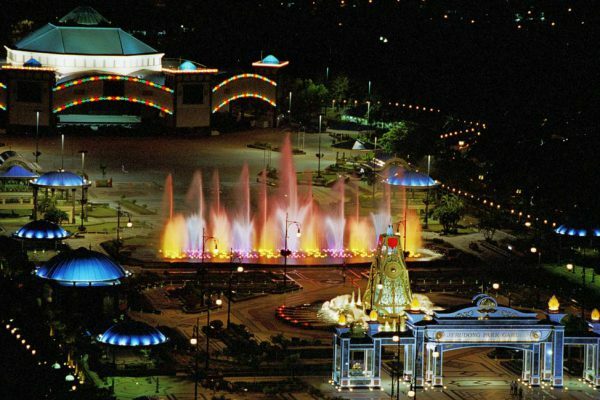 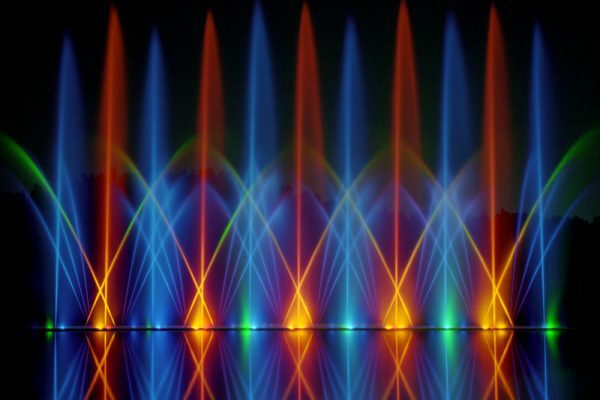 The original & brightest dancing fountains! 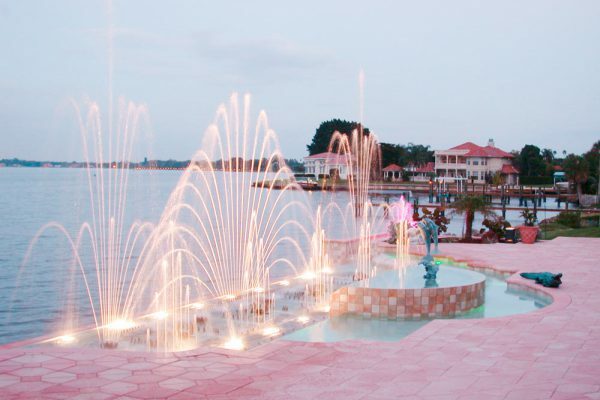 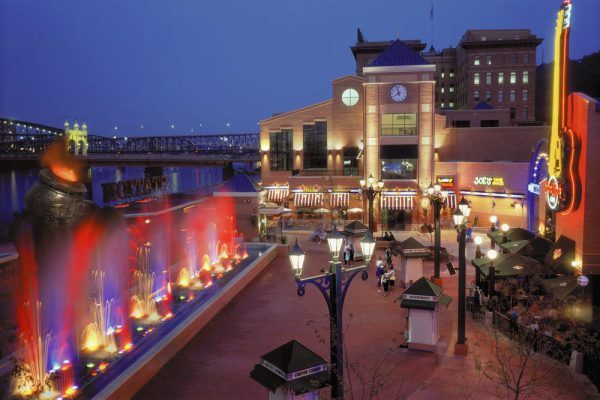 Waltzing Waters ®, Inc. was the first fountain company in the world to incorporate high-tech dichroic filters integrated within submersible lighting. 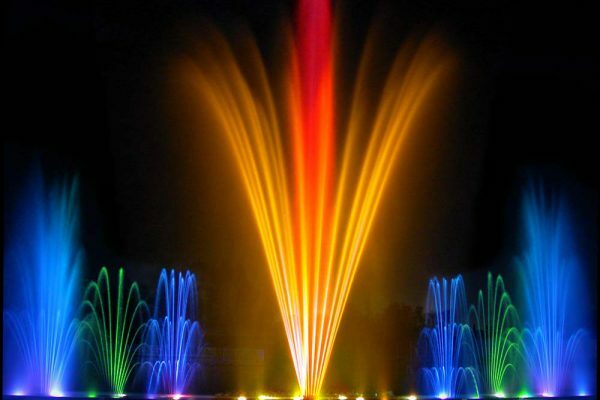 These produce brilliant, saturated colors, up to four times brighter than ordinary fountain lighting. 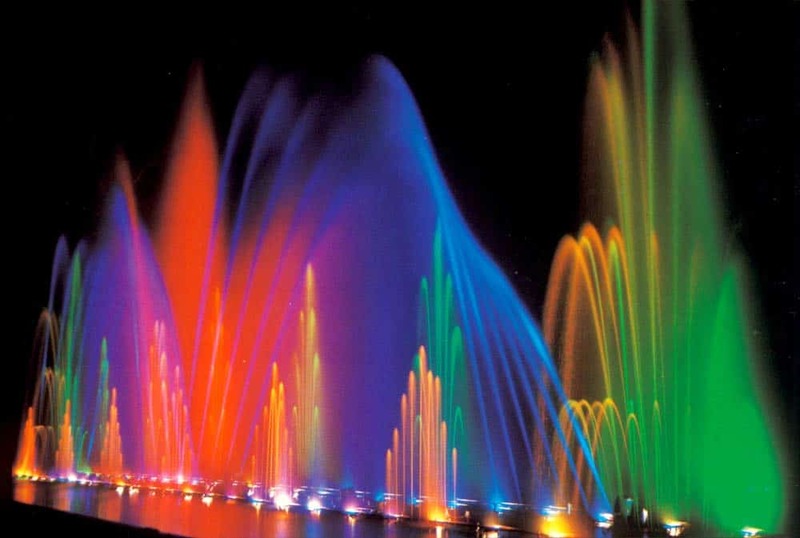 This lighting combined with the spectacular effects produced by Waltzing Waters ®, evokes the description “liquid fireworks”, a term frequently coined by the public when viewing our shows. 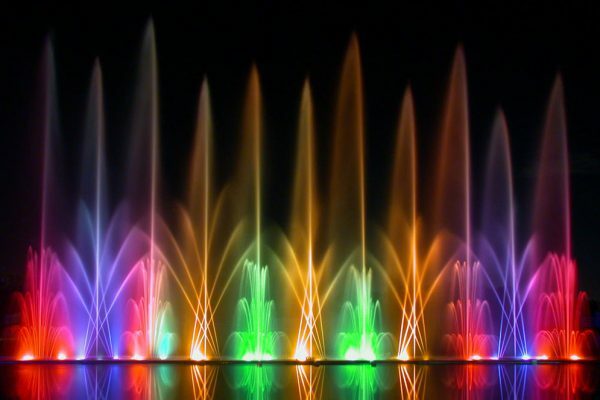 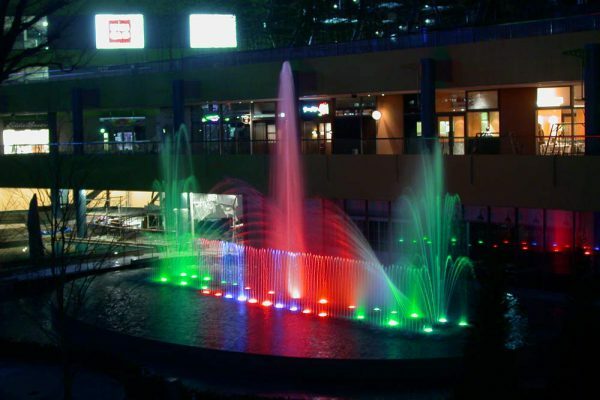 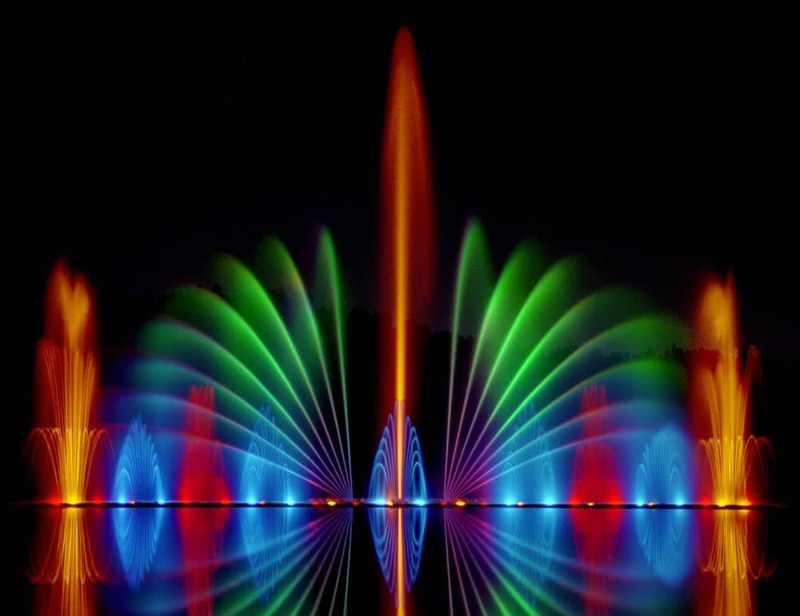 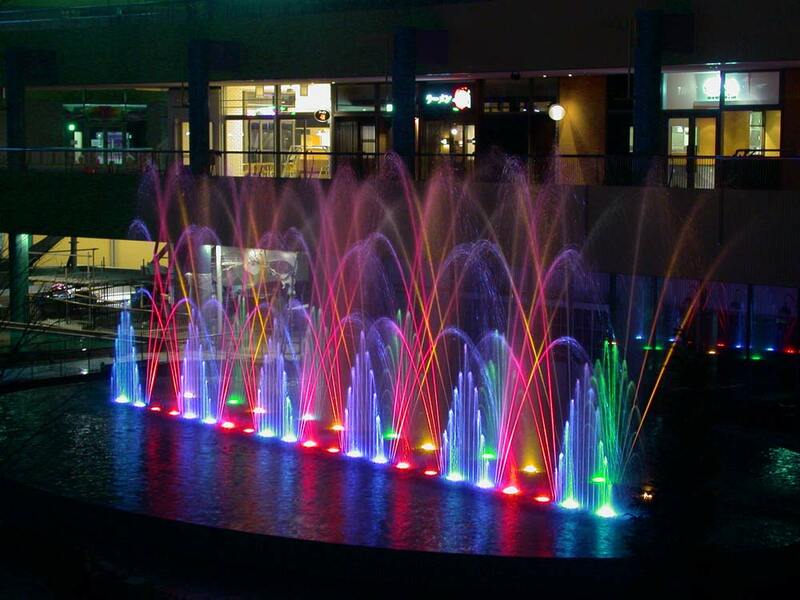 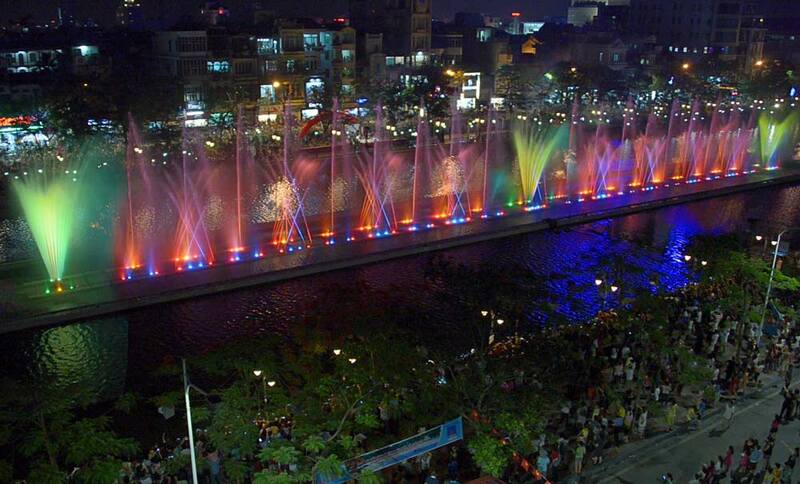 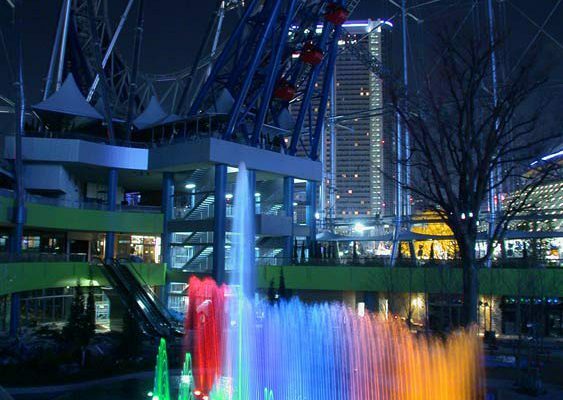 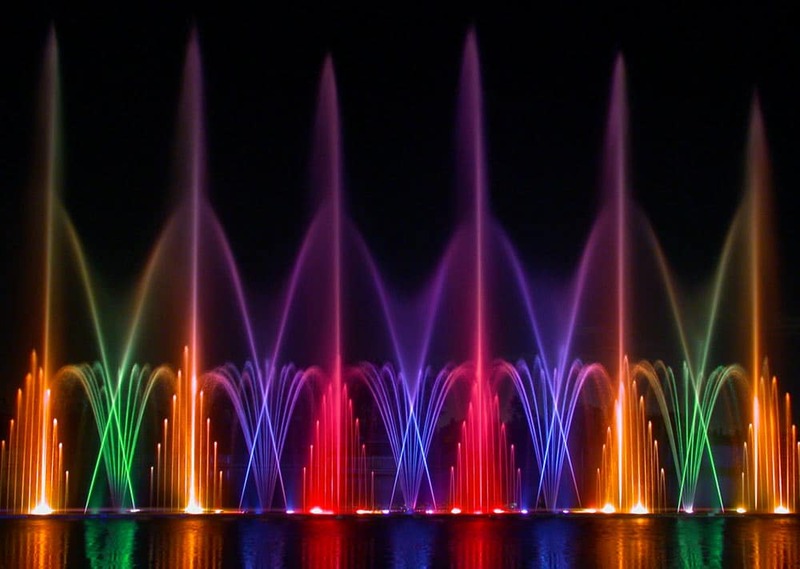 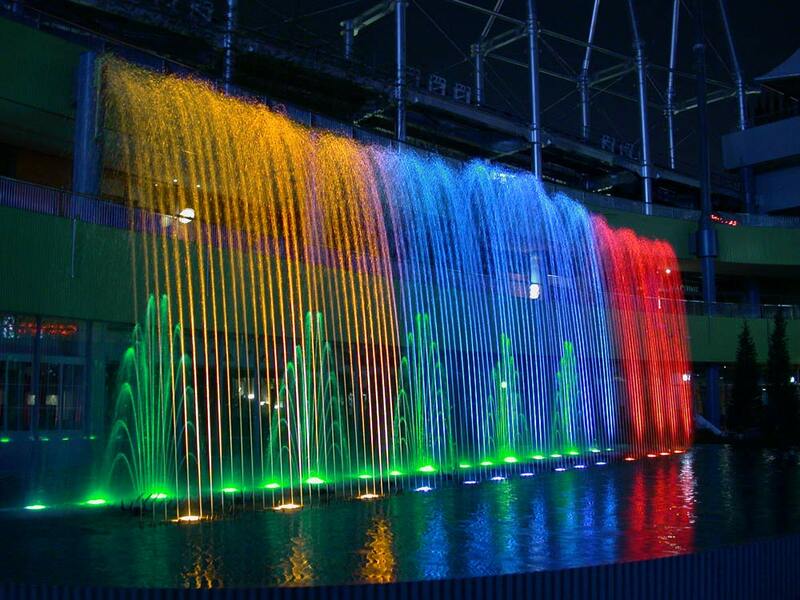 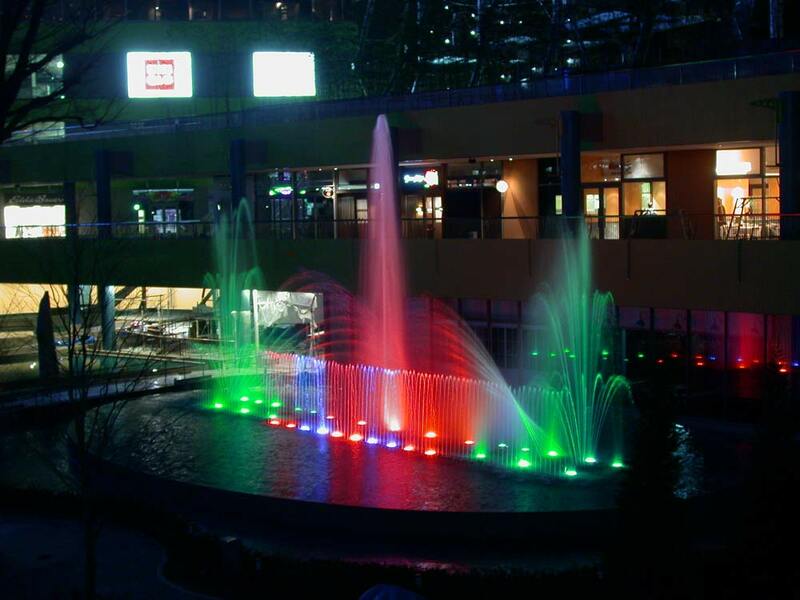 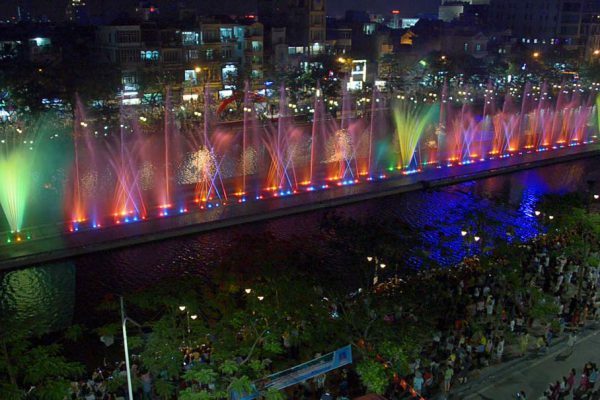 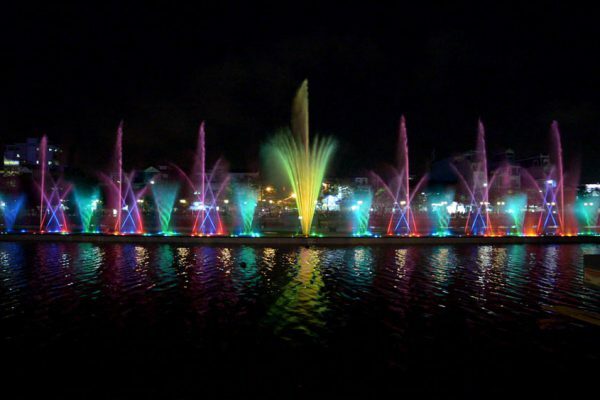 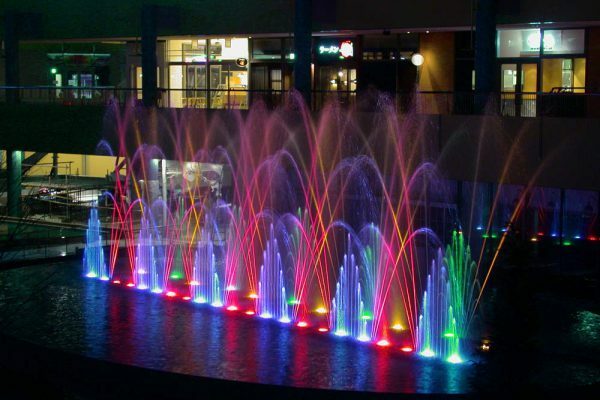 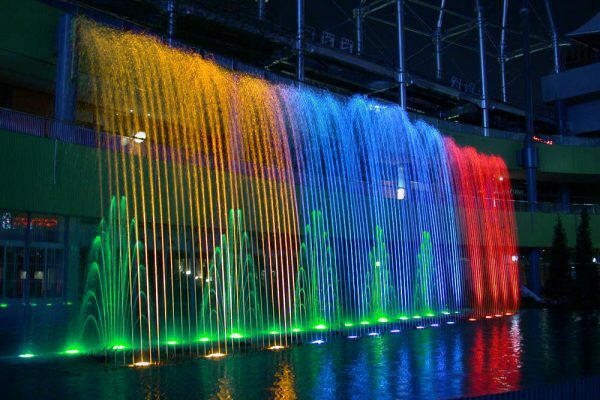 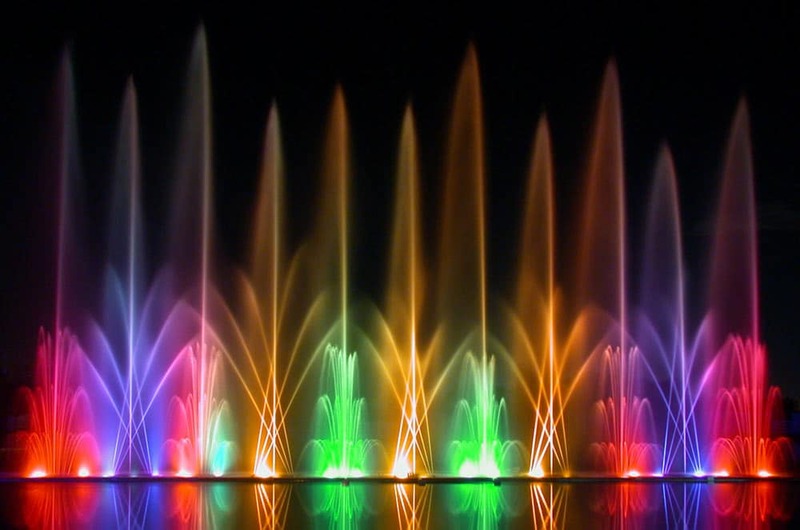 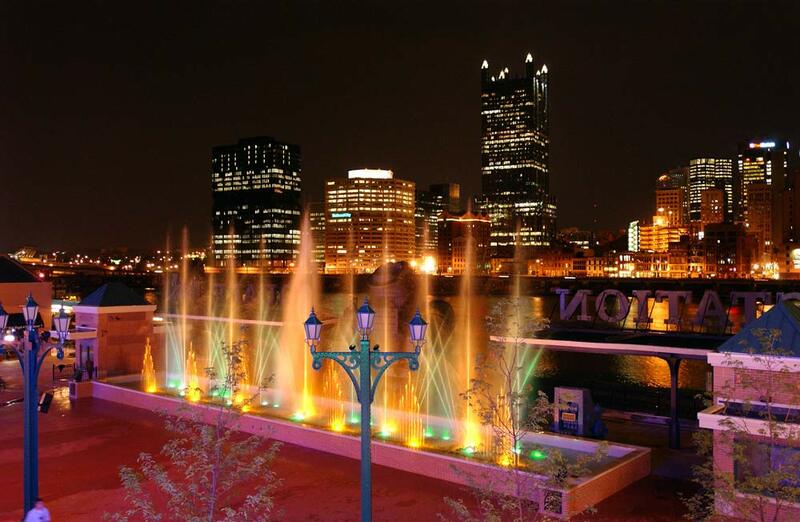 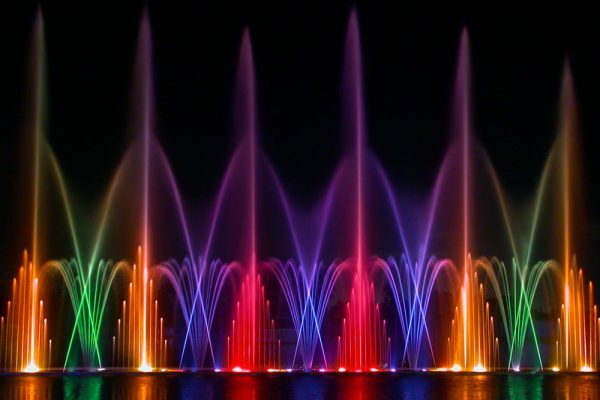 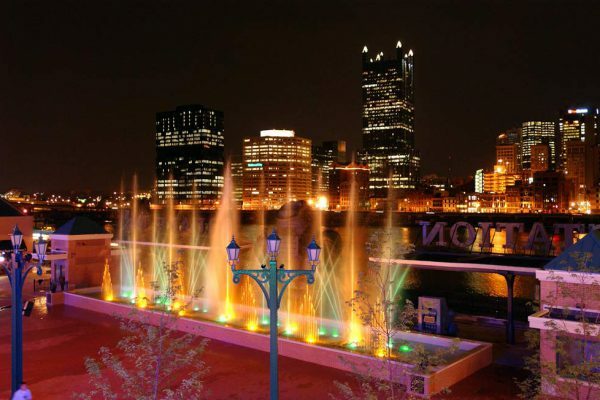 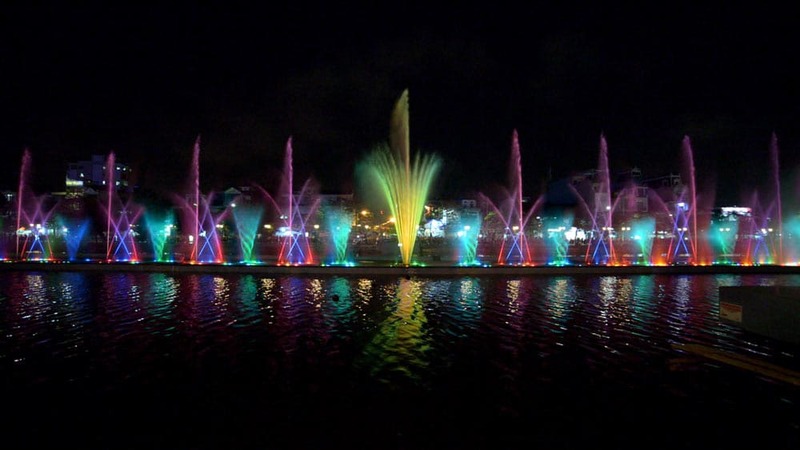 Waltzing Waters is specialised in all types of outdoor fountain shows (dancing fountains with music & light) including pool fountains, lake fountains and floating fountains.